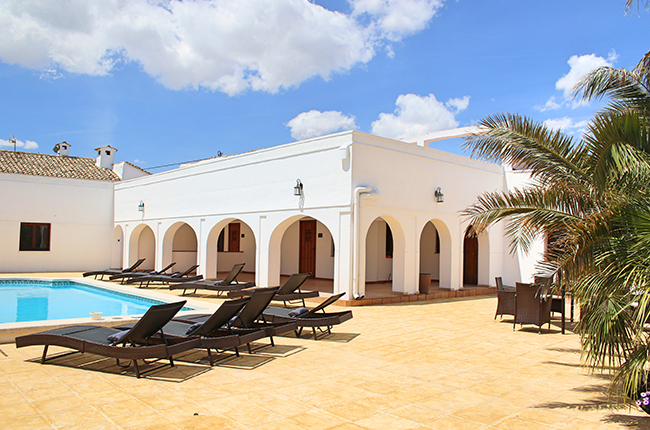 Casa Solariega is an impressive and spacious grand holiday villa set in delightful and picturesque grounds. 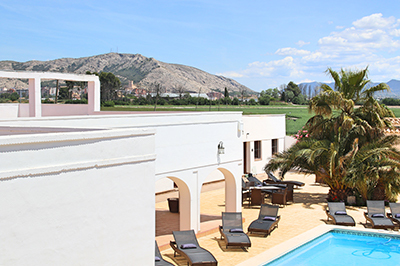 Hidden away in your own quiet setting, just like your own private oasis away from the world outside yet only 3km from the vibrant city of Villena. Casa Solariega, once an important historic grand farmhouse with adjoining buildings, which were originally stabling, staff accommodation and barns, has been recently renovated and restored to create an outstanding venue large enough to accommodate sizeable family gatherings and business conferences. 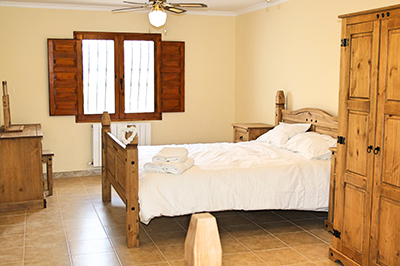 Casa Solariega has been divided into 8 self contained apartments, all with their own private entrance, ranging from studio apartment, 1,2 or 3 bedroomed with their own kitchens, living areas and bathrooms. Outside there are extensive communal areas with swimming pool, gardens, large double barbecues with food preparation area, extensive terracing, indoor large communal dining room or conference room with seating for 26, and to top it off breath-taking views in every direction. 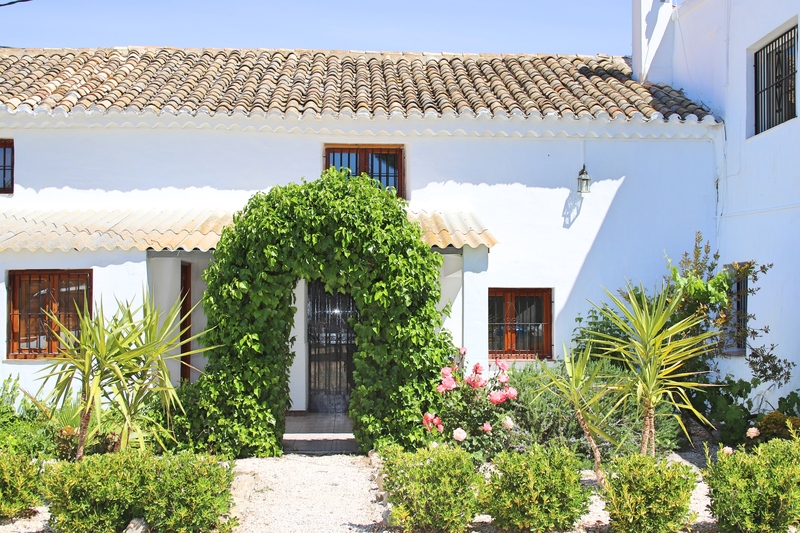 This well proportioned grand holiday villa is tucked away in a rural setting just 3km from the pretty medieval city of Villena with views of Villena castle from the upper terraces. We think it’s the ideal venue for large family gatherings, groups of friends, or corporate events where everyone can appreciate their own bit of independence when needed whilst still staying under the same roof! Outside, Casa Solariega’s facilities are extensive and offer all you need to enjoy the spectacular climate and enjoy outside living. There is a fabulous swimming pool with extensive terraces with loungers and entertaining areas for al fresco dining and barbecuing. The large swimming pool is essential for a refreshing dip and cool down. 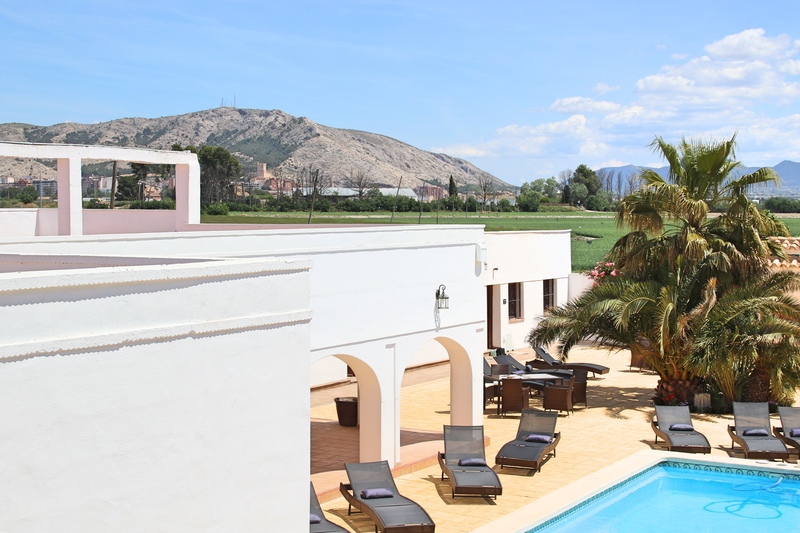 There are large outdoor communal areas ideal for sunbathing, relaxing out on the terraces, both upstairs & around the pool, an outdoor kitchen area with food preparation area & sink, two large purpose built double barbeque areas & laundry room with W.C. Fruit trees and gardens. Full central heating throughout all the apartments & upstairs the large dining room/conference area with seating for 26 people making Casa Solariega the ideal venue no matter what time of year. We truly believe Casa Solariega to be the perfect setting whether to enjoy the sun or to share a magical Christmas & New Year together. Casa Solariega has a large secure parking area, electric gates & fully secure fenced grounds. 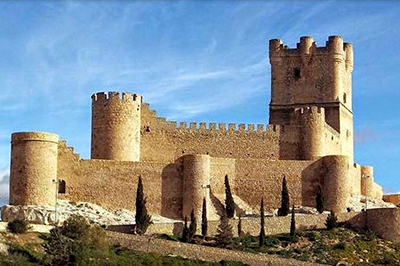 The historical city of Villena and surroundings contain an important group of historical remains, including two castles and several churches, hermitages, palaces and squares, as well as various museums. There are numerous restaurants, supermarkets, shops and bars in Villena. Alicante airport is only 60km by car. The fast train from Villena to the centre of Alicante only takes 35 minutes, and just two and a half hours to Madrid. We visited Casa Solariega last month for a birthday gathering. It’s a beautiful villa in lovely surroundings. Ideal for a large group. Liked that we all had fully equipped and independent apartments, but we could also eat together as a group with the barbeques. We all had a great holiday!